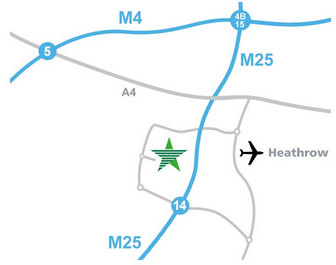 Only 7 minutes from the cargo terminal at Heathrow Airport, 3 minutes from junction 14 on the M25 and close to the M4 / A4 intersection – the location has fast access to London, the home counties and the rest of the UK. 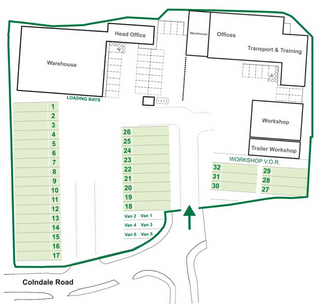 Offices, warehouse, vehicle workshops and training facilities are consolidated in the self-contained 2.4 acre site. It is fully secured with automated gate entry, parking for our expanded fleet of trucks and artic trailers, a secure 10,000 sq ft warehouse with 3-level access doors and a newly re-fitted 3-bay vehicle workshop with access for high Q7 trailers. Drivers are well catered for with excellent facilities. Smart new offices include our state of the art control room. We have a dedicated workshop with highly trained engineers and facility’s that are to main dealer standards. Our team of engineers are all Mercedes-Benz qualified and we pride ourselves on our first class workmanship, whether changing a headlight bulb or rebuilding gearboxes & engines. All our vehicles undergo PMI (Preventative Maintenance Inspection) safety inspections which includes brake testing on our rolling-road brake testing equipment. Servicing & diagnostics are completed on a state of the art Mercedes-Benz STAR system to ensure the on-board computer is getting the best performance from the engine, which in turn makes sure our vehicles are running as environmentally friendly as possible. We have extensive training facilities with a dedicated training room for 16 trainees and a large specialised training area for hands on manual handling training.